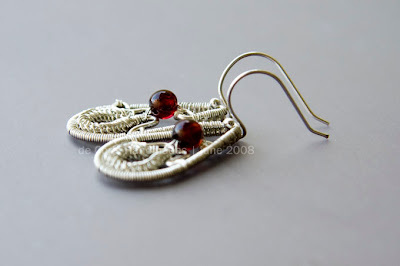 Vintage Wine Earrings - Composed with few wire wrapping techniques to deliver its exquisite, delicately beautiful effect. 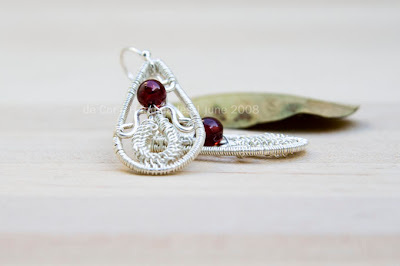 Made with different gauges of sterling silver wires and beautiful flawless garnet beads. 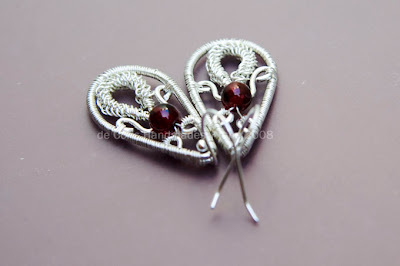 Size: 2.3cm tall, 1.3cm at its widest measure. Weight: 1.5gram each, 3gram in total. Very pretty! They must look great on. Very beautiful! 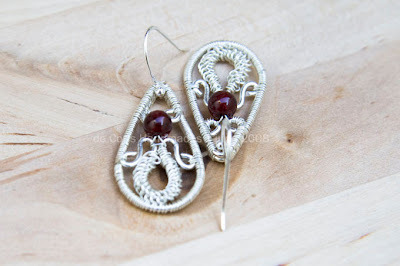 This is a technique I'm wanting to learn. 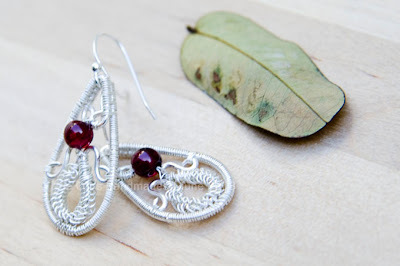 Do you have suggestions on where I can find information on wire wrapping? Chezchani, thanks so much for your compliment. Janine, thanks very much for dropping by! !